Two team members from the world-famous Alexander Hair and Beauty salon have won regional awards for their skill and creativity. 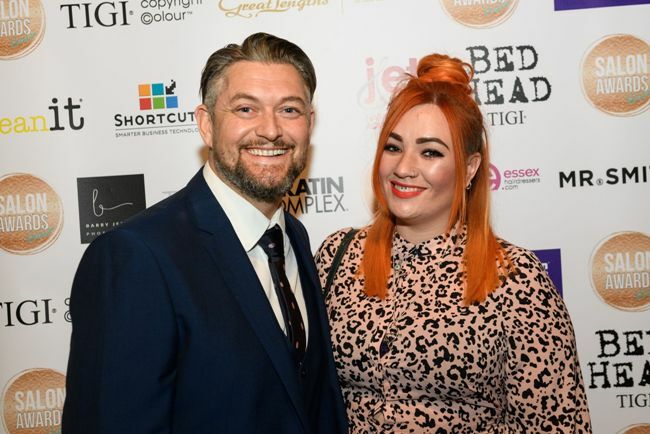 In the Yorkshire Salon Awards 2018, salon manager and creative director Beth Bowers was named Colourist of the Year, while stylist Kim Ford won the Future Talent category. The latest in an array of awards for the Anlaby-based salon which works with catwalk models and stars including Liv Tyler and Charlotte Church, owner Alex Turnbull said he’s made up to see his team’s talents coming to the fore. “I’ve invested blood, sweat and tears in building the reputation of the salon over the last two decades, and have won a range of awards myself along the way, including BHA Newcomer of the Year and BHA North Eastern Hairdresser of the Year, but it’s all about the girls for me now and I get my satisfaction from seeing them succeed. “Beth’s mum Judy has worked with me for many years too and, at the Leeds awards ceremony, it was one of my proudest moments ever to see the look on her face when Beth won this recognition. “It reminded me a lot of seeing the look on my own late mum’s face when I won awards in the past and it was such a special moment. I know that Kim’s parents are incredibly proud of her too. The girls’ entries were based on a mixture of client nominations and submitting a portfolio of examples showing outstanding work they had done, from high profile photoshoots to their salon-based creations for their day-to-day clients. “Beth had to demonstrate her talent for both developing creative looks for big budget shoots, and how she applies this in caring for our regular clients,” added Alex. Alex, 37, is the son of respected local businessman John Turnbull. He shot to success after winning British Newcomer in the British Hairdressing Awards and remains the youngest person ever to take that title. The Yorkshire Salon Awards are among the highlights of the region’s industry calendar and are designed to recognise the ‘most creative, dynamic and innovative hair salons, hairdressers and barbers in Yorkshire’. Alexander and his team were entered in nine of the 15 categories.